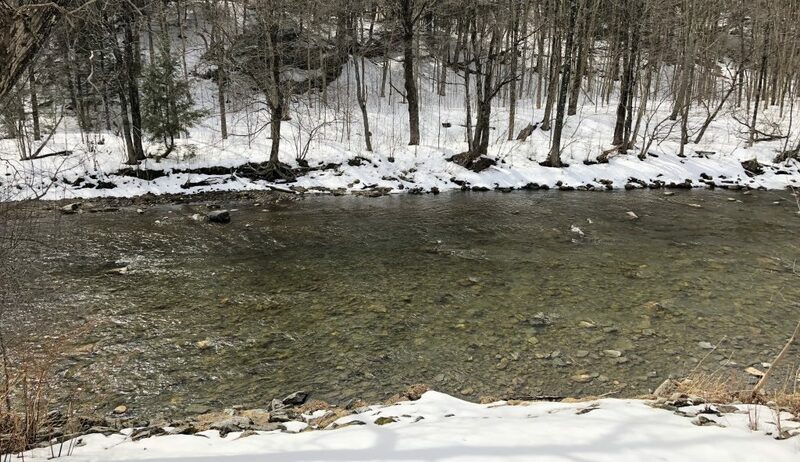 This adorable lumber worker cottage is right on the Trout River so you can enjoy the sound of gently rushing water. The cottage has two separate one-bedroom suites with full private kitchens, Jacuzzi tubs, and cast iron gas log fireplaces. Each has a sleeper sofa in the living room. River House Suites are pet-friendly. 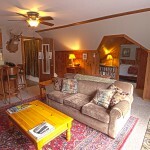 $199 – $599 per night for the first floor Black Bear Suite, with 2 night minimum, depending on season and holidays. 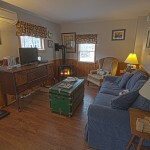 $189 – $579 per night for the second floor Trout River Suite, with 2 night minimum, depending on season and holidays.